Wedding season is just around the corner and I just added a new version of the Rules of Love subway art print to the shop. This print, available in many colors, can now be personalized and customized with names and a special date! We can even match the bride's wedding colors for a truly unique gift that will be sure to become a treasured keepsake. 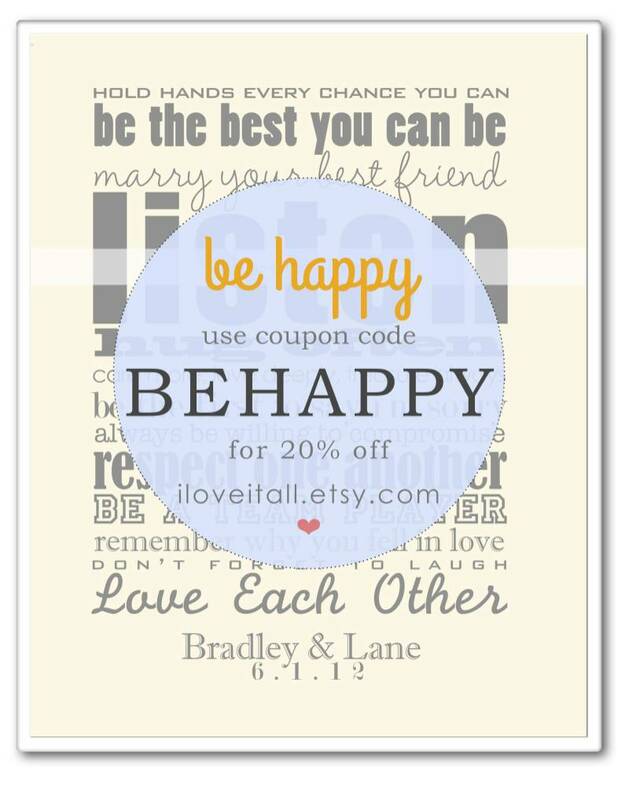 This coupon code won't last long and it's good on ANYTHING in the shop.